Become an important part of our team! The British Centre is always pleased to hear from trained teachers who are searching for work in their field. We like to think we have one of the best teams of teachers available for the people and enterprises of Nuevo Leon, and if you feel that you could become part of that team, please get in touch with us! There are some pre-requirements that you would need to fullfil. Do you have a teacher's qualification (TEFL), preferably in language teaching? Do you have at least two year's teaching experience? Are you a native speaker of English, or can boast a level equivalent to that of a native speaker? From time to time, a variety of opportunities to work at The British Centre arise. 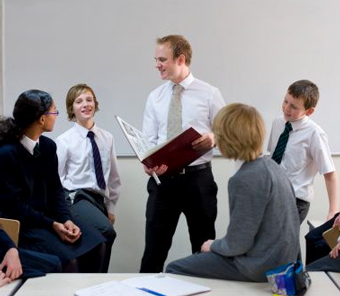 As well as needing a top teaching team, we also employ various other professions to carry out the work that goes on 'behind-the-scenes', so to speak! Secretaries, HR staff, telesales, drivers/messengers, accountant/secretaries, IT Teachers, academic support staff, ESOL teacher trainers, and experts in the fields of EFL/ELT.